Das Hügelgrab von Cootehill ist schon vor weither sichtbar (R192 nach Süden), da es sehr groß und problemlos zugänglich ist. Obwohl schon einige Steine umgefallen sind, ist der Gang sehr gut zu erkennen. Eigentlich sind es zwei Gänge, denn das Grab hatte zwei Grabkammern. 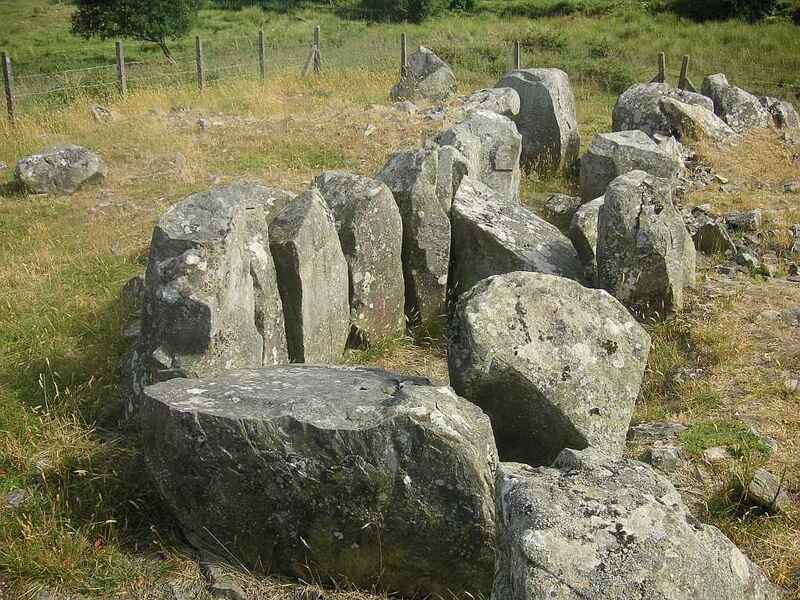 The Cootehill passage tomb can easily be seen from afar, as it is very large and accessible without problems. Although some boulders already toppled, the passage is easily recognizable. Actually, there are two passages, as the tomb had two chambers.